Loading... Developed By Aviteo GmbH | (Version 5.64) | April 2, 2018 | (100% Clean – Tested). UseNeXT Client often known as newsreader or newsclient is a German newsgroup platform that serves as a Usenet provider and readily connects you to the service. Editor’s Note: Be mindful of, UseNeXT allows the enthusiasts to use its trial edition for 14 days with a free data download of 1GB, just enter the email, payment details and start using it. If by any chance the service does not appeal you, say goodbye and don’t proceed as it does not bind its users with any contract, simple as that. On the contrary, there are multiple premium plans to make further use of it.
. Updated On: 2nd of April, 2019.
. Setup Size: 3.0 MB. 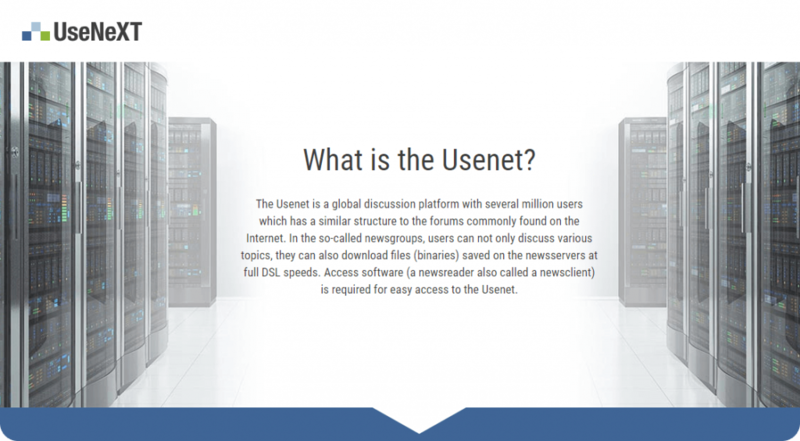 Usenet is one of the world’s old computer network communication system, which was first introduced in the time when users did not have access to the internet connection; however, this service is still in use around the globe but the internet has replaced it to a considerable extent. Similarly “UseNeXT” is a Usenet provider, with its six data centres that are located in the United States and Europe it claims to be one of the best Usenet service provider. It offers various plans to its customers who are willing to take advantage of it and would like to download the data in a flash, UseNeXT supports 30 connections simultaneously – again the reason why it is considered one of the finest among alternatives. Using this service the users can download the data at more than 800MB/s, yes! Way more than your typical service provider and DSL speeds. Users can briskly exchange the data by choosing the appropriate plan; actually, the rates are not as higher than the download speed it provides, one can enjoy up to 200Mbps download speed for approximately $ 20/month, howbeit, the plans may vary according to the amount of data as well as the rate offered. Reasonable Plans with Up to 30TB Data Accessible at PRO. No Contracts for Trial Usage. Data Retention of 3800 Days for PRO. Up to Six Accessible Server Farms. A Bit Complicated for New Users. UseNeXT offers 256-bit SSL encryption and respects the user’s security while ensuring optimum protection. The users are issued with the personal log-in ID and password which can be used to access the service. Initially, the user will have to enter the e-mail address, actually having an email address is compulsory as the registration process won’t be completed otherwise. Thus, once after entering the email, UseNeXt will send a mail to the respective mailbox where one will be asked to download desktop newsreader or just get going by clicking on the “Start mobile newsreader”. Also, this email will contain the username and password that will be required to log-in further. By clicking on the “Download desktop newsreader,” a browser named momentum will be downloaded, and that is the gateway towards the Usenet service this tool is providing. Momentum is just like the web browsers that you have been using for long, once downloaded, install and open the browser, log-in using the details received via email. Now, this is where things will actually get started, first of all, select the language and change it to the one that suits you, using the search bar enter the name of the file you’re looking for and hit enter. Along tabulation of the files will be displayed in a list with relevant information including, size, newsgroup, uploader and the date it has been uploaded. Scroll down, select the appropriate file and click on the download icon right beside it and it will start the download, at this point, one can clearly notice that the data will be downloaded at an exceptional speed – precisely what this entire service means to do. Now apart from the downloads mentioned above or file exchange one can use another method for the search that is by “Newsgroups”, on the Momentum browser, right next to its home icon, there is another icon which on being clicked will display a list of the newsgroups. Tech users may scroll and find the required files, again the way to download them is similar to the described earlier.